I reached out and touched the metal. It was cold. In front of me, a broken and weathered engine of a TB-29 Superfortress. A nuclear-capable strategic bomber, similar to the ones that delivered their atom splitting payloads over Japan in August 1945. But I was not in a museum, or at an airfield or airshow. 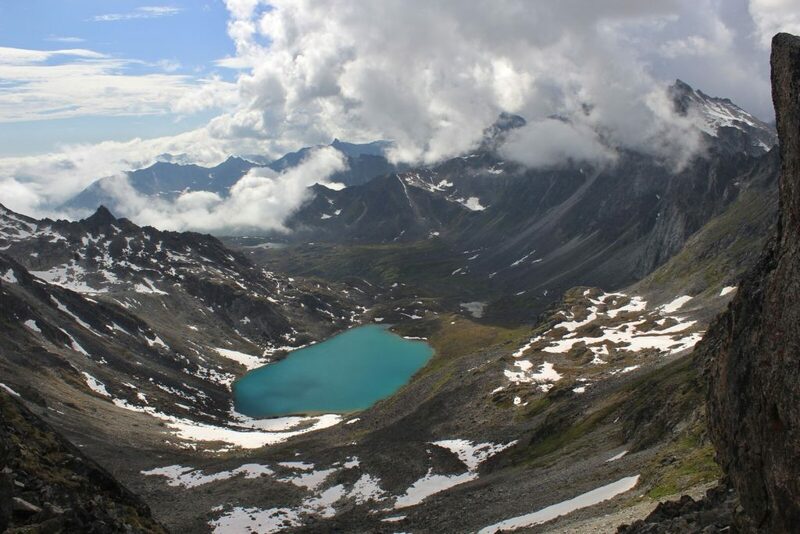 I stood there beside my uncle on the Bomber Glacier in the Talkeetna Mountains, not too far north of Palmer, Alaska. All around us lay the wreckage of the bomber, once the pinnacle of the technology of destruction in the Cold War, now no more than twisted metal on the ice. A wing over here, the crushed remnants of the fuselage over there, the engines, still remarkably intact, lay separated. The four-bladed rotors were bent or broken, such was the force of the impact, strong enough to bend the steel itself. Two of the blades sheared off on impact. The other two were bent nearly sideways. Thanks to my uncle, Chris for guiding me on this hike. 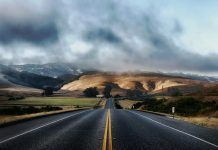 Credit for all the images goes to him as well, since he is a much better photographer than I am. The cockpit, indeed the entire front half of the plane was gone, ripped from the rest. 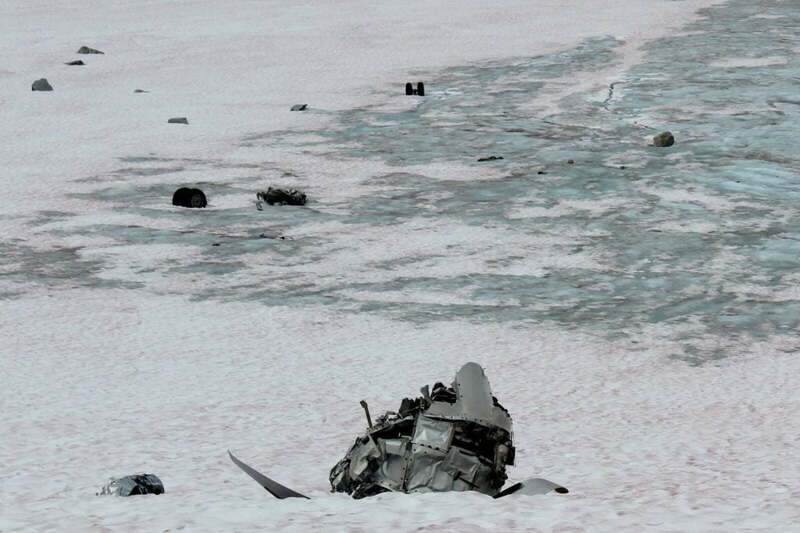 What seemed to be the front half was separate, crushed on the ice quite far from the rear of the plane. The most recognizable pieces were the tail section, the four gigantic engines, the unused landing gear. One of the wings lay separate from the rest, ripped from its body. The other wing sat on top of the fuselage, somehow flipped around on impact. The black marks remained there on the wings, USAF. There was avionic equipment strewn about, all sorts of control panels and wires. 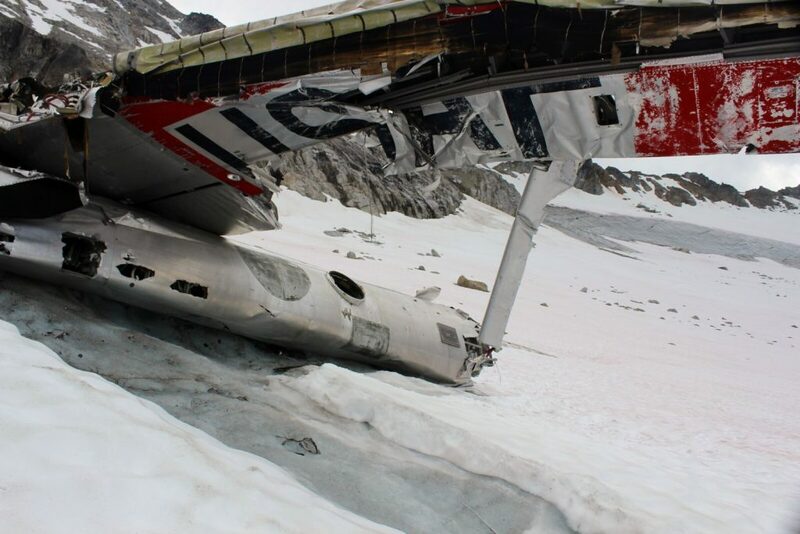 The aircraft seemed to have impacted the glacier with its landing gear extended, as some of the gear was several hundred yards away down the glacier, as if the pilots were preparing to land. The day was not particularly cold, but a chill seemed to hang over this glacier as a wind blew off the nearby peaks. Air Force insignia on one of the wings. The impact ripped both wings from the airframe. How did this marvel of military engineering meet its end in this place? On a glacier in the wilderness? On November 15, 1957, this TB-29 took off from Elmendorf Air Force Base in Anchorage on a routine radar calibration flight. 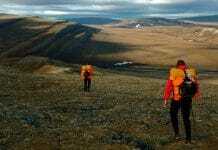 However, in bad weather (quite characteristic of the Talkeetnas), they strayed off course. Blinded by the storm and flying simply by their instruments, the pilots had no warning. 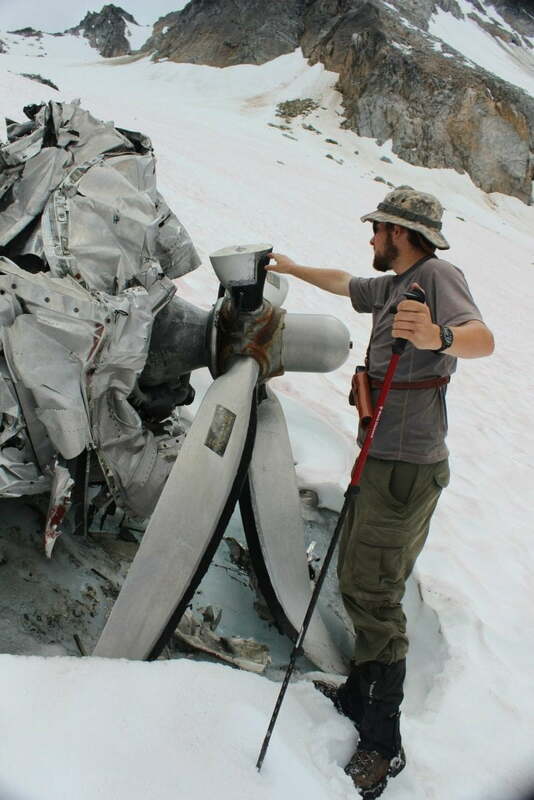 The bomber struck an unnamed glacier. Of the ten-man crew, six died, including the pilots. Four, however, survived. Air Force Staff Sergeant Calvin Campbell received the credit for ensuring the survival of the others, as he dragged them from the wreckage and wrapped them in sleeping bags and parachutes until the storm passed and rescue arrived. 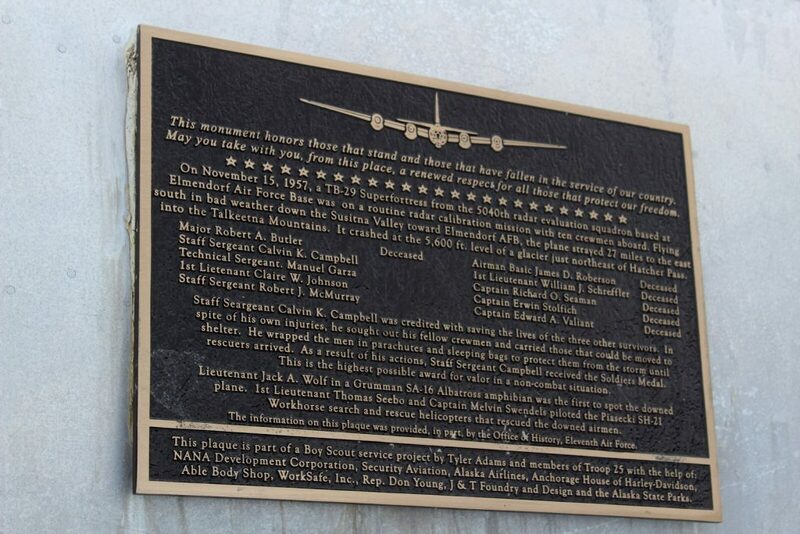 This memorial plaque, attached to the fuselage, honors those who died, those who lived, and those who risked their lives in the rescue. And so there we stood, dwarfed by the remnants of the aircraft. Superfortress. A well-earned name. It’s hard for me to write the surrealism of the place, it was as if we had stumbled on a fallen dragon lying there on the ice. Or discovered the Loch Ness Monster deceased on the shore. Bombers like this one were at one point the main nuclear striking arm of the United States. This one was based in Alaska as a training aircraft, but others just like it were there for their proximity to Russian bases like Vladivostock. By 1957, the TB-29 was no longer a viable deep strike bomber, replaced by the B-52, which is still in widespread use. But the plane was still used as a training aircraft for bomber crews. The round, wide-angle cockpit was even the template for Han Solo’s legendary Millenium Falcon in Star Wars. These planes occupy the role of legend, symbols of a nation’s strength. But this one was here on a glacier so far out of the way that before the crash, the glacier had no name. 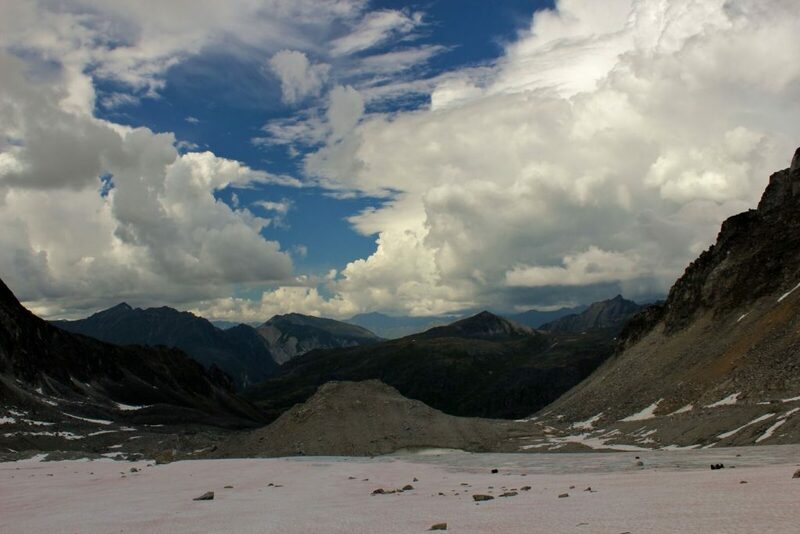 Now the glacier is simply referred to by its unofficial name, the Bomber Glacier. Official government maps to this day do not give the glacier a formal name. The bomber as seen from the mountain pass over Upper Reid Lake. The Bomber Glacier isn’t too hard to access from the trailhead at the end of Archangel Road, just east of Hatcher Pass. After only a few hours of hiking, my uncle and I passed the Reid Lakes and ascended a boulder field, from which we got out first glimpse of the plane I had heard so much about. From that ridge line, the bomber truly did look like a poor, broken dragon brought low by some knight. 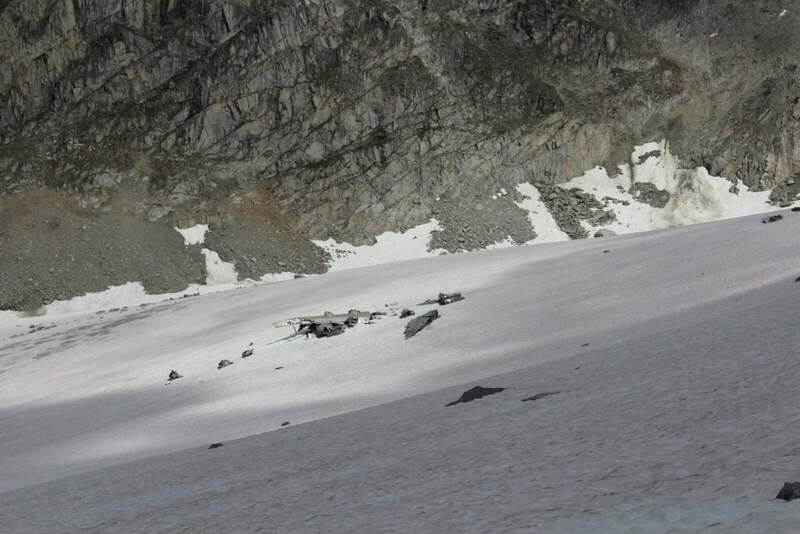 We made our way down to the glacier, a relative safe and solid one. We didn’t need ropes to be safe here, though he did mention that there are unsafe parts of the glacier, so I was glad to have my uncle as a guide, who lived nearby and knew the area well. I investigate the rear gunner’s turret, still remarkably intact. The rest of the way to the Bomber Glacier was easy enough. And then we were there. I stood beside an engine, dwarfed by the rotor blades. It felt monumental. It also felt like we were intruding. The vista was one of the most amazing I’ve ever seen, but I could not shake the thought that six men died here, on this glacier. Though the crashed bomber was magnificent in a kind of post-industrial aesthetic way, it was also a grave marker. Though the bodies themselves were retrieved and buried long ago, the place still felt… strange. It reminded me of cathedrals or battlefields I’ve been to. Sites like these have a majesty to them, they are dignified. They have what the ancient Romans would have called gravitas, which translates as gravity, but more. It brings a solemn feeling with it, as if it has true, physical weight. In this case, the beauty of the place highlighted the gravity of what had happened. As much as I love the wilderness, it’s wrong to forget that a simple navigational error can lead to death if all the dominoes are stacked upright. Upper Reid Lake and the trail we came upon as seen from the pass. The Bomber Glacier is directly behind us here. So when I reached out and put my hand on the rotor blade, I felt a strange, tangled mix of emotions. I was standing there beside the dead dragon, and I felt sad. But I was happy to be in the wilderness again, back in the field. I’m still not totally sure how to put those feelings together in one place. But I can say with some confidence that the best emotions are the complex ones, sometimes the conflicting ones. The ones that force me to feel empathy for others who were here. Like I said, visiting the bomber was like going to a battlefield. If you try hard enough, you can still hear the engines still pounding against the blizzard, or the pilots cursing the fact that they couldn’t see. There’s almost an echo of the screams of the survivors in the rear section, so shocked and surprised that they were now on a glacier instead of in the air. Another one of the four engines. Notice the landing gear in the distance. Hikes like this one are one of a kind. They juxtapose the seemingly unholy union of nature and industrialism. Again, the bomber struck me as no more odd than a dragon would have. On some level, it doesn’t belong there. It’s a nuclear age marvel, a war machine meant to rain death onto cities. But there it is, an unnatural thing consumed by nature. This was a Superfortress, supposedly able to withstand hails of anti-aircraft fire, multiple engine failures, and other damage in battle. But a storm and a mountain brought it down. He was referring to an inscription on a statue of the Egyptian Pharaoh Ramesses II, who had once ruled a vast empire, but whose ancient statue now stood for nothing. His empire fell, and now the desert sands consumed the statue. This bomber is the same. Once a symbol of a nation’s military power, now a relic on a glacier. This was a delivery vehicle for the most powerful weapons ever made. 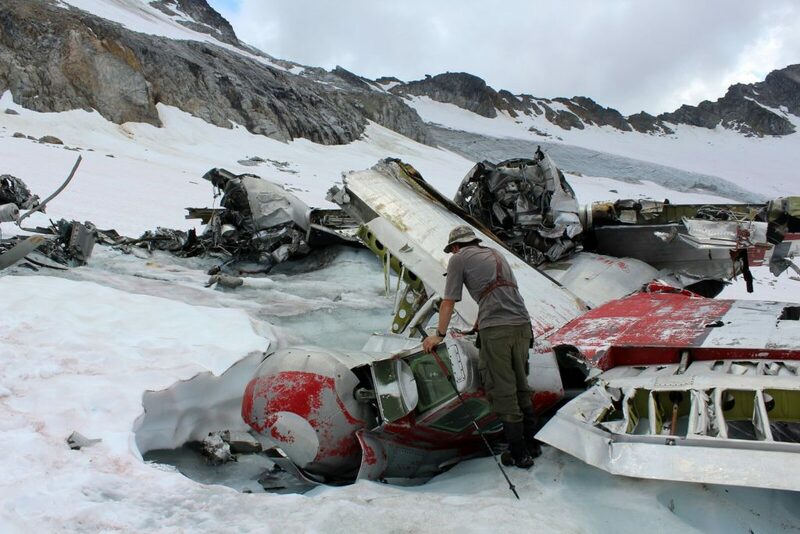 Today the bomber remains there on the glacier, ripped to pieces in its final moments. There was no drama, no nuclear fireworks. Only a crash, then silence. It reminded me of post-apocalyptic scenes from The Road, or Horizon Zero Dawn, or The Last of Us. The most powerful tools man could devise, now broken. Once upon a time this machine, this dragon-like creature would have been foreign to the area. But now, it is the bomber of the Bomber Glacier. The two go hand in hand and will continue to do so forever. The view from the bomber deep into the Talkeetna Mountains. A typical Talkeetna thunderstorm is brewing overhead. Exit Glacier – Hiking Exit Glacier and the Harding ice field. Have you been to Alaska? We’d love to hear your stories and have your feedback! Leave a comment below!